Tartan kilt is a Scottish Traditional kilt.Its a Traditional dress in Scottish culture.Mostly people wear as a Fashion.We have all variety of Scottish Kilts for Men in different sizes and colors. Scottish Kilts are quite popular among modern cultures as well because of their outstanding features and premium quality. There are different types of Scottish kilts for men including Scottish utility kilts, Tartan kilts, leather kilts, and many others. 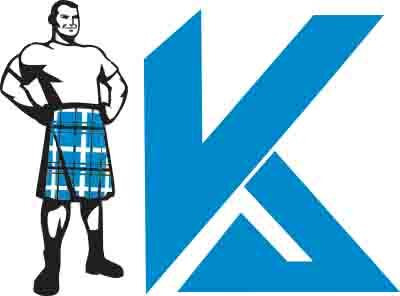 These kilts are made with high-quality material by skilled and trained workers who make every single kilt with passion and love. The only thing that matters a lot while selecting a men’s Scottish kilt is its quality and the way it is made. According to our recent survey handmade kilts are quite popular and durable than machine-made kilts due to various factors that we will discuss later on. Every kilt maker company aims to ensure the lowest possible cost to make it affordable for a common. Remember, all the Scottish kilts for ladies and men are made with premium quality material, and kilt makers give equal attention to all the orders utmost satisfaction of customers. If you are looking for Scottish kilts for sale near me, then you should keep some following factors in your mind before buying any kilt, so that you can avoid all the hassles of poor quality and replacement. Well, it’s a very frequently asked question that we hear on a daily basis about the delivery time of custom kilts. The delivery time is usually around 10-12 days just after the order is given. If you want fully customized Scottish kilt with specific demands related to its pattern, color and size then the duration can exceed some days but not more than a week. You must be thinking that why it takes a considerable time to make a Scottish kilt for men? The answer is quite simple, as you know these kilts are purely handmade so it will take some time if you don’t want to compromise on its quality. If you are new to kilts, then don’t worry because in this detailed guide we will tell you the core points that you should take care about while buying your favorite Scottish kilt. If you are going to buy Utility kilts, then these kilts are usually made from 100% pure cotton fabric material. Similarly, leather kilts are made from high-quality leather, and hybrid kilts are made from both cotton and Tartan. So if you are going for any of these kilts then you have to make sure that the kilt is made from the materials mentioned above otherwise it will be wastage of your hard earned money. We hope you have understood the fundamental criteria of choosing a right Scottish kilt for men because there are thousands of online stores offering kilts on the lowest possible price but unfortunately majority or at least huge numbers of them are selling crap. Make sure that you have given the correct measurements according to your body waist and length while placing an order to avoid all the inconveniences of replacement and money back claims.